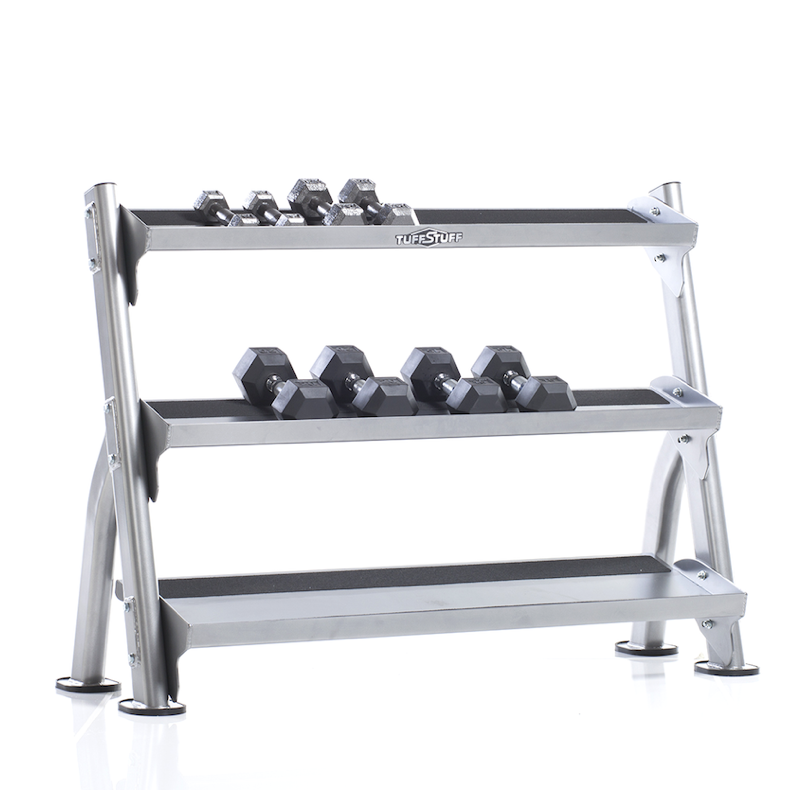 The TuffStuff CDR-300 2-Tier Tray Dumbbell Rack is essential to keep your dumbbells safe, orderly and not strewn all over your floor. 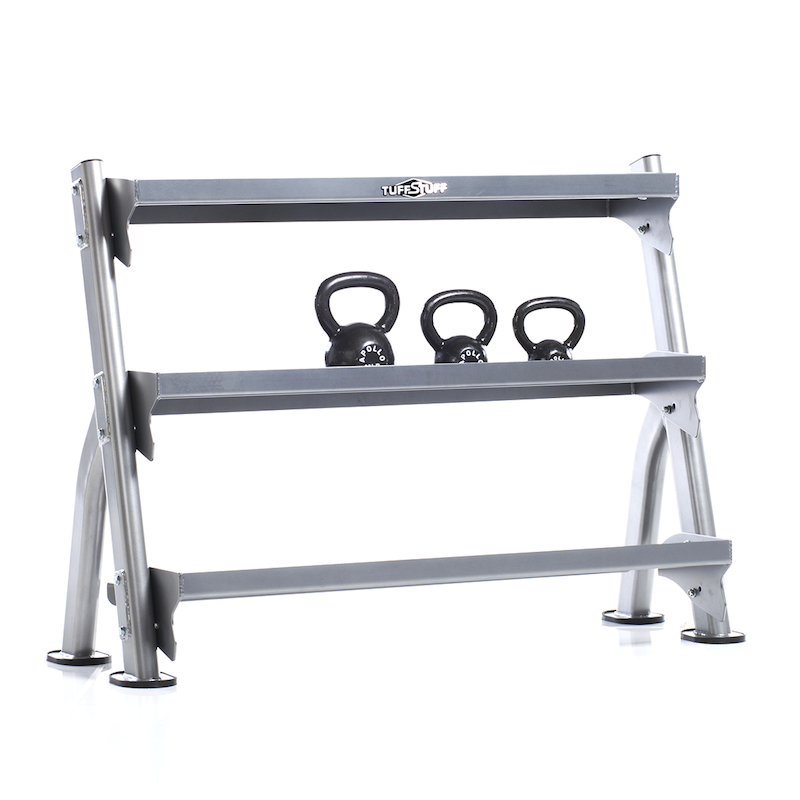 The universal tray-style design easily converts from angled to flat position to hold standard dumbbells, hex dumbbells or kettle bells. 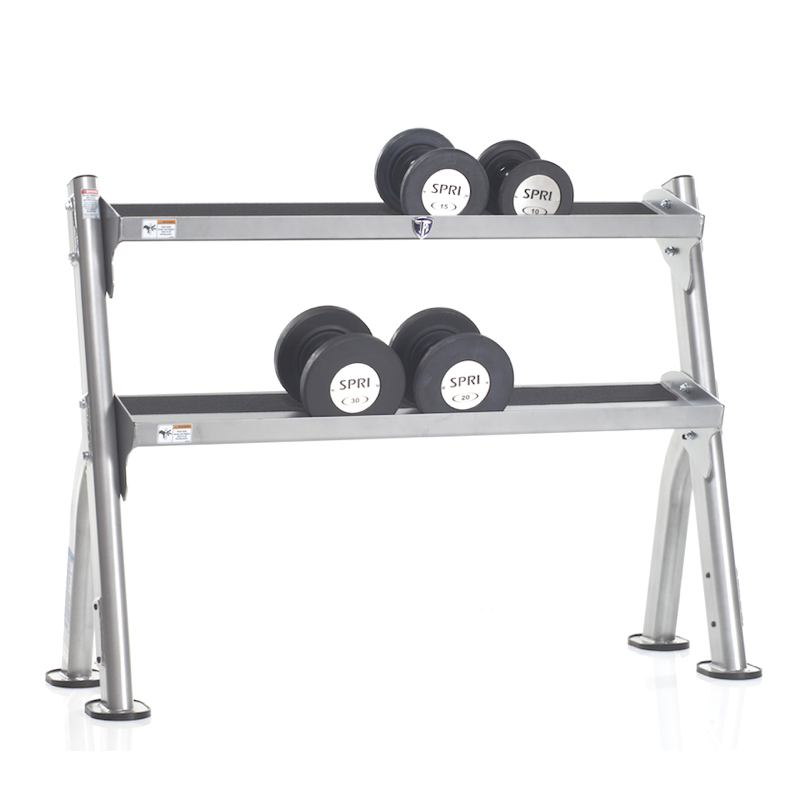 The TuffStuff Evolution 2-Tier Tray Dumbbell Rack (CDR-300) is perfect for racking your weights. 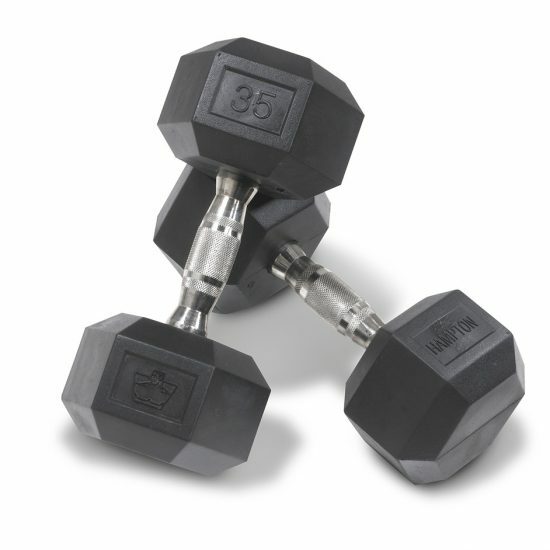 The CDR-300 has a universal tray-style, which is ideal for hex dumbbells and will fit most other styles of dumbbells as well. Add the optional TuffStuff CDR-300e for a third tier rack. If you are looking to build your home gym, then the 2-Tier Tray Dumbbell Rack (CDR-300) is essential to keep your dumbbells safe, orderly and not strewn all over your floor. 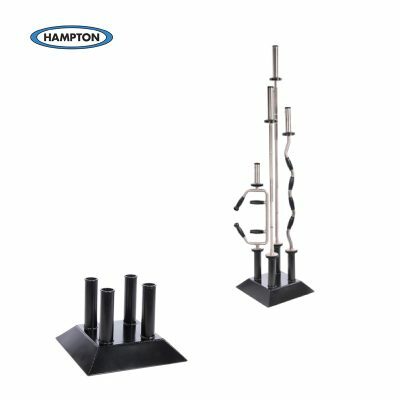 TuffStuff’s light commercial strength equipment is built to exacting standards, with commercial-grade components including 11-gauge tubular steel, inert-gas MIG welded construction, and certified USA-made cables. 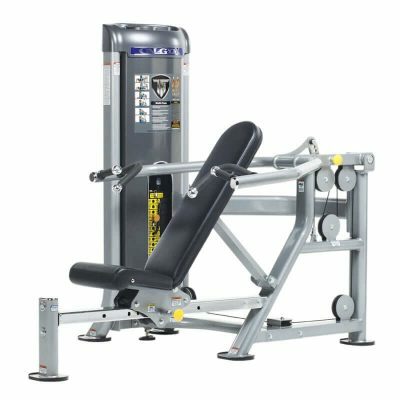 Whether you are looking to outfit the world’s finest health club, or you just need a single equipment station that will stand the test of time, with TuffStuff you will receive unmatched product quality and exceptional support.